There, they debated “The Great Silence” — why aliens haven’t contacted us — exploring one possibility known as the “zoo hypothesis.” First proposed in the 1970s, it describes Earth as a planet that is already under observation by “galactic zookeepers” who are deliberately concealing themselves from human detection, Forbes reported. “When we try to better understand the universe, the question of whether we are alone is unavoidable,” meeting attendee Florence Raulin-Cerceau, an associate professor at the National Museum of Natural History in Paris, told Paris-Match. That Earth would be the lone planet to evolve and host intelligent life among potentially billions of planets in our galaxy alone seems very unlikely. But if there are intelligent extraterrestrials out there, where are they, and why haven’t we found them yet? This conundrum, posed in 1950 by Italian physicist Enrico Fermi, is known as Fermi’s Paradox, and it still stymies experts today. Fermi didn’t live to see evidence of the first exoplanets, which were discovered decades after his death. Since 2014, NASA’s Kepler space telescope has confirmed the existence of hundreds of distant worlds, and its findings have hinted at potentially 2,300 more. And yet, despite these exciting exoplanet discoveries, contact with extraterrestrials seems no closer now than it did in Fermi’s day. 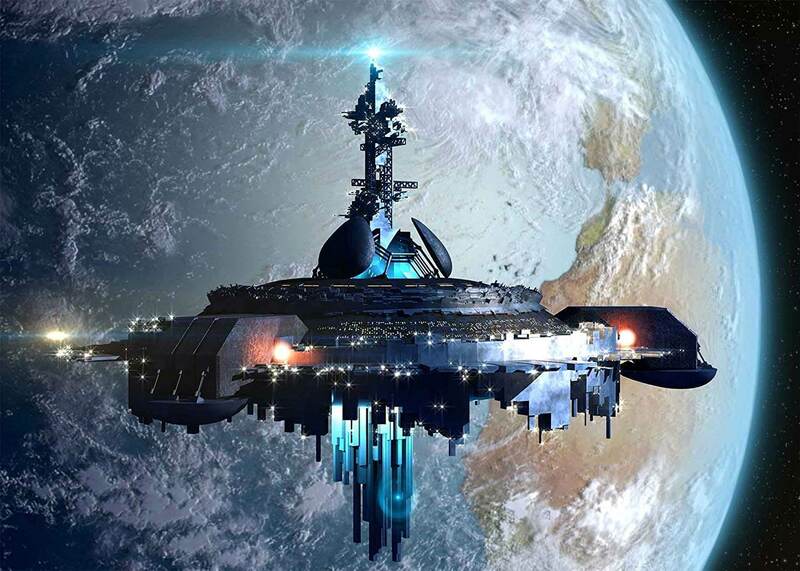 One explanation that scientists explored at the METI meeting, is that aliens are aware of Earth and are observing us as we would observe animals kept in a zoo, METI President Douglas Vakoch said in a workshop. If this is the case, humans should increase their efforts to create messages capable of reaching our “keepers,” to demonstrate our intelligence, Vakoch explained. For example, if a captive zebra were to suddenly tap out a pattern of prime numbers, humans would be required to re-evaluate their understanding of zebra cognition, “and we would be compelled to respond,” according to EarthSky. But what if we’re not part of a vast alien zoo — what if, instead, humanity has been evaluated by alien civilizations, and subsequently “quarantined” from our galactic neighbors? It’s possible that extraterrestrials are actively isolating us from contact for our own good, because interacting with aliens would be “culturally disruptive” for Earth, meeting co-chair Jean-Pierre Rospars, honorary research director at the Institut National de la Recherche Agronomique (INRA), said in a workshop. Of course, it’s also likely that we haven’t heard from aliens because they’re locked under a layer of ice in subsurface oceans; trapped on massive “super-Earth” worlds by gravity’s intense pull; or dead because their advanced civilizations have already destroyed themselves — as humanity might — through runaway consumption of their planet’s natural resources.